Eboue Kouassi has endured a difficult start to his Celtic career. Since arriving from Krasnodar in January 2017, the Ivorian has failed to establish himself as a starter with the Glaswegian club. The 20-year-old must depart Celtic to revive his career prospects. Current reports indicate that Kouassi is poised to leave Celtic Park in the summer transfer window, with several clubs interested in the midfielder’s services. The Scottish Sun reports that clubs in Germany, France and Belgium are interested in Kouassi, who could leave on loan or a permanent basis. The defensive midfielder has made 17 first-team appearances during his time with the Scottish club, and while he’s failed to make a lasting impression, it would be premature to depart the club permanently. The Ivorian is undoubtedly a talented player, a competent defensive midfielder with an eye for a pass, yet he’s failed to display his qualities on a consistent basis. Having made a £3M investment in the midfielder, it would be in Celtic’s interests to try and refine his qualities, while also increasing his transfer value. A loan move would succeed to fulfil these ambitions. Kouassi is only 20-years-old which means that he has an abundance of time to improve and develop greater experience before staking his claim for a permanent position within Celtic’s team. 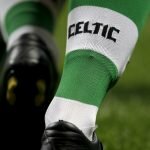 Brendan Rodgers has established a palpable emphasis on youth development, and Kouassi has the potential to play a pivotal role in Celtic’s future. A season-long loan would provide the most appropriate indication to the Celtic hierarchy, whether Kouassi has sufficient quality to start for the Scottish team. It’s difficult to make a meaningful impression when confined to substitute appearances; thus, Kouassi’s qualities could begin to illuminate when rewarded with continuous first-team involvement. If the Ivorian is sincere about succeeding at Celtic, then a loan move could represent the best chance to demonstrate his worth. What are your thoughts? Do you agree? Let us know!